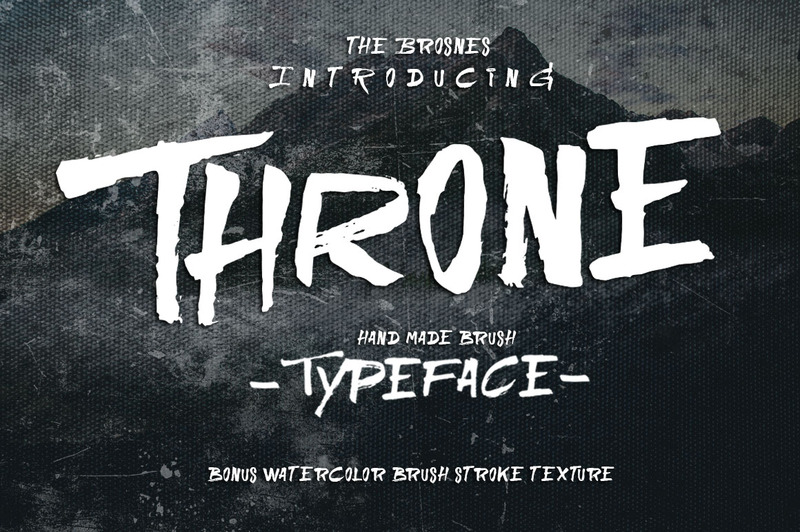 Throne is a hand painted script font created and published by The Brosnes Design Co., a freelance graphic design agency from Indonesia. Created with hand-painted characters, Throne features acasual, arty and inky design and comes with upper characters, punctuation, numerals, and supports international languages. Get a rough tone with Throne! A font description published on Monday, March 28th, 2016 in Fonts, The Brosnes Design Co. by Andrei that has 2,423 views.